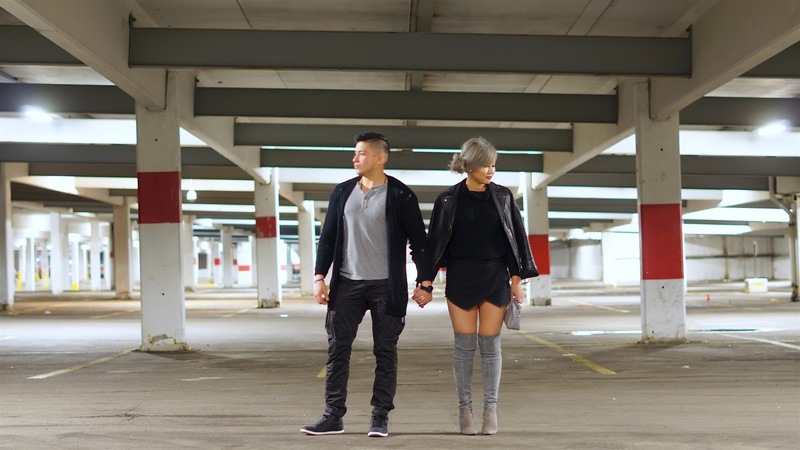 This is the first His & Hers outfit post I've done since having this blog for 3 years. It's not that Israel disagreed to ever doing them, it's that I never asked, assuming he would always say no. But I'm glad he didn't because these turned out way better than I thought! I guess it's always better to ask then just to be left in the dark. Never in our whole 7 years of dating have we EVER matched each others outfits. We've never bought matching His & Her sneakers, jewelry, jackets, or whatever it is that couples buy. We don't believe in that and we definitely don't have the same sense of style. Israel is too boyish and I'm too girly. Israel likes wearing bold colours - when he buys new sneakers for the gym, they always have to be red or blue, or something bright and I'm bland and boring and buy white. I will be incorporating more posts with other people as I want to feature the most stylish people in my life. And I think it'll spice up some of my posts! What fab looks! You guys look adorable.